This is the Organic One Black Espresso brought to you by Centri Coffee. 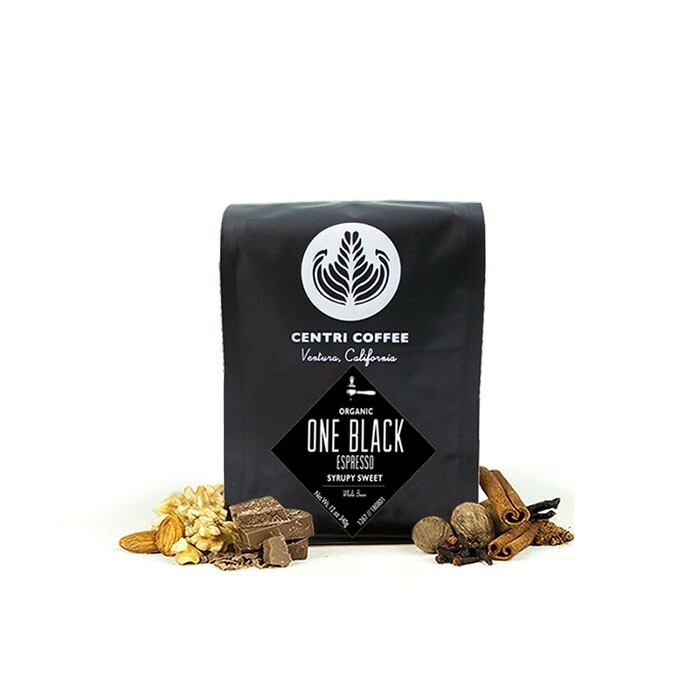 Organic One Black is Centri's flagship espresso. They blend and roast this coffee with two goals in mind; flexibility and balance. One Black’s component coffees will change throughout the year, but it will always be a stalwart blend which can both stand alone as a straight shot and flavorfully cut through milk. Does a great job riding the line between milk and dark chocolate, with hints of toasted pecan. Was particularly smooth espresso, very low acid. Overall fantastic.